In response to growing worldwide concern regarding electronics addiction among children, the Taiwanese government has now placed serious restrictions on smartphones, tablets and computers for kids under 18, and has completely banned children under 2 years-old from using iPads and other electronic gadgets. The revised law called the “Child and Youth Welfare Protection Act” will fine parents up to $1,500 for violating the restrictions. Kids between 2 and 18 years of age will forced to limit electronic media usage to a “not unreasonable” amount of time, although the authorities have not specified how much time that amounts to (which is bound to spur some confusion among parents). How will Taiwan enforce this new legislation? Read on for the full scoop. 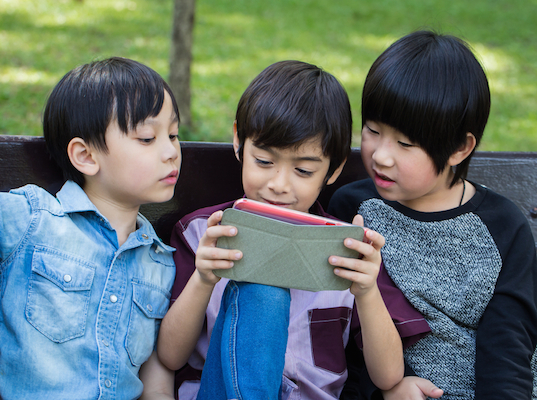 In Taiwan, parents could be fined for failing to restrict screen time for kids.